Nail wraps cover your entire nail and are usually applied over bare nails. They do not require any base coat or colour painted over nails, like for example, Jamberry nail wraps. If you need some tips on how to apply nail wraps, then head over here. Today, however, we’re talking about nail stickers. Nail stickers (also known as nail decals) do not cover your entire nail. 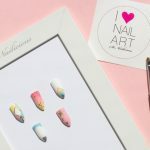 They come in a form of a pattern or a small object/shape and are usually applied over polished nails, like for instance the SoNailicious stickers. So in short, this is the main difference between nail wraps and nail stickers. 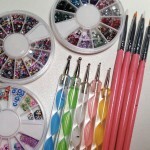 Now let’s move onto nail sticker application tips! 1. Make sure your nails are clean and dry, before applying stickers. This goes for polished and bare nails as well as gel or shellac. If your nail polish is not completely dry, the sticker may not attach properly or lift wet polish up from the nail. For gel/shellac, make sure you cure your last layer of gel before applying stickers. 2. 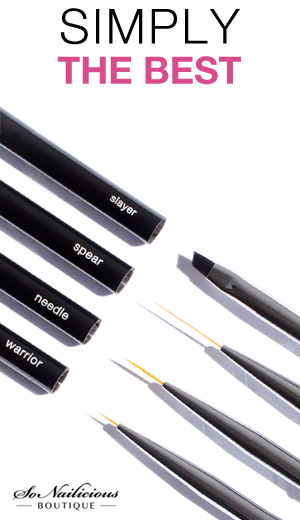 Use tweezers to lift your chosen nail stickers from their backing sheet. Do not touch the sticky side of the sticker with fingers, that may reduce the adhesiveness. 3. Place nail stickers very gently on nail – when you are 100% happy with their position, only then press it down with a silicone tool. 4. Smooth sticker on from the center to the edges, when applying it over a nail. This will get rid of any air bubbles trapped under the sticker that may cause slight bubbling in the top coat. Use a silicone tool to do it, it’s much more gentle on a sticker than an orange stick (orange stick may scratch stickers) and its soft surface ensures the sticker adheres to nails 100% without any wrinkles or air bubbles. 5. Smooth long thin stickers, like the Geo Pattern or Golden Goddess, from the bottom to the top or from left to right to get rid of any air bubbles trapped under the sticker. 6. Trim the edges of sticker (once applied over a nail) to make sure it fits perfectly and follows your nail shape (free edge) or nail bed. If you’re applying the sticker right at the edge of the nail or at the nail bed, like for instance the design featured above, place your sticker so it’s going over the free edge/polish and than trim the excess with cuticle nippers to ensure the sticker follows your nail shape or nail bed precisely. 7. Apply 2 coats of a top coat (or gel/shellac top coat) over the entire nail and the stickers to seal and protect stickers. This will also make your manicure last longer and smooth out the edges of the stickers. If you’re using the SoNailicious stickers, the clear edges will melt completely leaving only print visible on the nail surface. 8. Paint your nails with a base or clear nail polish before applying the stickers, if you’re doing a negative space design or applying stickers over bare nails. Because your nails produce their own natural oils, nail stickers won’t adhere well unless nails are polished. There you have it! My top 8 tips on how to apply nail stickers flawlessly, like a pro. 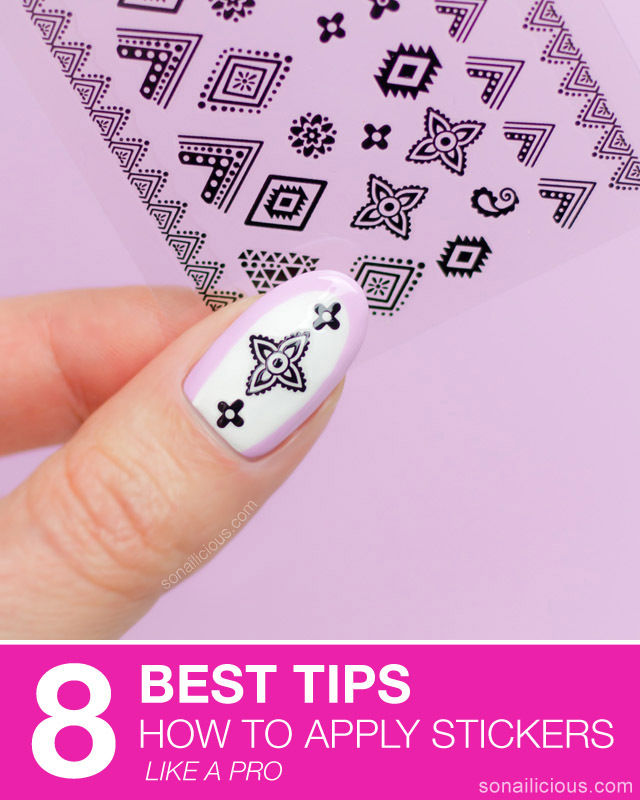 Of course, not all nail stickers are the same, but these tips will come handy for most brands, especially for the ultra-thin styles, like our stickers. In fact, if you follow these tips when using the SoNailicious range, I guarantee you get a flawless manicure EVERY. SINGLE. TIME. These are the exact techniques that I follow and so far so good, as you see. 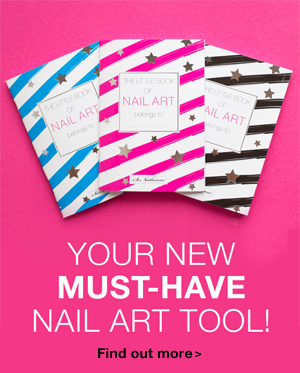 What’s your best tip for applying nail stickers flawlessly? 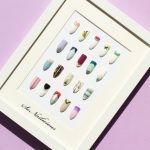 The summer SoNailicious stickers collection is HERE! Then stay in touch by subscribing to our Weekly Newsletter or follow us via Bloglovin.